Founder and CEO of Trauma Intervention Programs, Inc.
Mr. Wayne Fortin is a licensed mental health professional who has worked in the community mental health field for over 22 years. 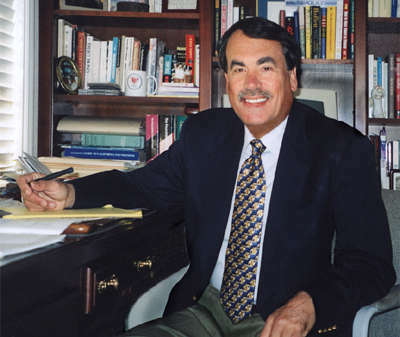 In 1985, he founded the Trauma Intervention Program (TIP) within the San Diego County Mental Health system. In 1989, Mr. Fortin established the TIP program as a non-profit organization (Trauma Intervention Programs, Inc.) dedicated to providing immediate support to those emotionally traumatized by crisis events. Mr. Fortin led Trauma Intervention Programs Inc. in a national competition for the Innovations in State and Local Government Award from Harvard University and the Ford Foundation which TIP was awarded in 1991. This award is widely considered to be the most prestigious award given to non-profits and public agencies. Following this award, Mr. Fortin established a National Office of Trauma Intervention Programs, Inc. dedicated to establishing TIP programs nationwide. Today, Mr. Fortin continues to lead the Trauma Intervention Programs, Inc. He oversees 18 regional Chapters which serve over 75 cities, 100 hospitals, 67 police departments, and 55 fire departments. Trauma Intervention Programs, Inc. is the largest operator of emergency services volunteer programs in the nation. In April 2000, Mr. Fortin received the 2000 Crime Victim Service Award from Attorney General Janet Reno. This award is considered the highest federal award for victim advocates. Mr. Fortin continues to devote his professional career to assisting hospitals and communities develop their capacity to provide compassionate care in emergency settings (emergency departments, ICU’s, burn units, pediatric ICU’s, and on emergency scenes). He has developed the TIP National Emotional First Aid Course which has been offered to hundreds of health care professionals across the nation. Mr. Fortin’s primary goal is to make a major impact on the quality of care citizens receive from the emergency response system including the emergency health care system.